By switching to mobile racking, you can move a wider variety of wine faster—in the same or less amount of space. Learn more about ActivRAC mobile racking for wine on tap now. Demand for wine on tap—or kegged wine—continues to grow. 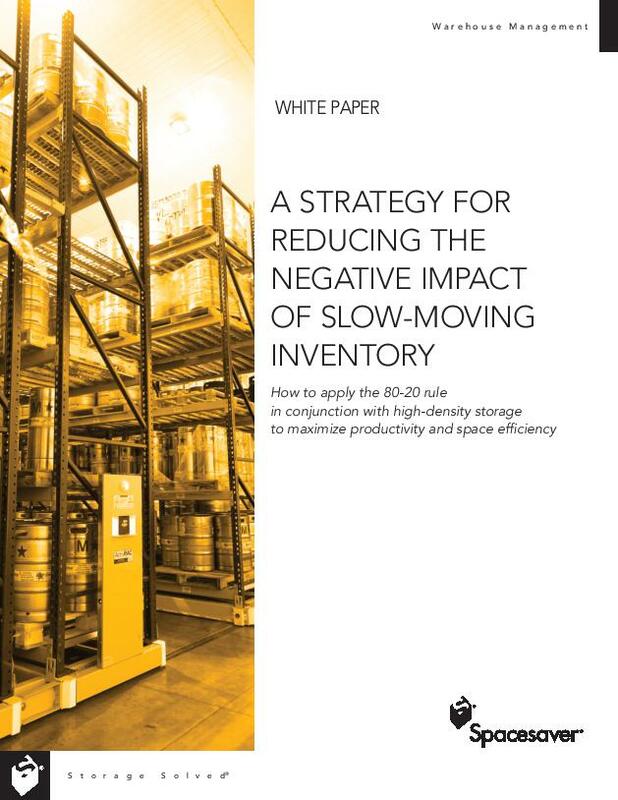 But as demand for more environmentally-friendly, kegged wine increases, so does the demand for more storage in wine distribution centers and warehouses. Easily store and move more kegged wine in less space with Spacesaver’s ActivRAC® mobile racking. Plus get easier access to more varietals in your storage, and distribute more wine to your national accounts faster. Mobile racking will hold more wine on tap in less storage space, while still giving you 100% accessibility to all of your product. With the press of a button, you can access your entire inventory and decrease the amount of time your team spends handling it. No distribution center expansion necessary—meaning you can concentrate more on exceeding your customers’ expectations. Just fill out this short form and we’ll email you immediate access to your white paper.